A-HOTEL.com - Luxury and cheap accommodation in Koležma, Russia. Prices and hotel, apartment booking in Koležma and surrounding. Located 200 metres from the scenic shores of Solovetskiy Island, this hotel features a 24-hour reception with tour desk and bicycle rentals for guests to explore the surrounding nature areas. The log-cabin-style rooms at Solovki Hotel come with mosquito nets and a private bathroom with hairdryer and free toiletries. Located on Solovetskiy Island in the middle of the historic White Sea, a 3-minute walk from Solovki Monastery, Hotel Solovetskaya Sloboda features a sauna and an on-site restaurant. The modern rooms here provide guests with a flat-screen TV with satellite channels, a wardrobe, and free toiletries. Заозерная 12 is situated in Solovetskiy. The apartment also features 1 bathroom. Litoraly Mini Hostel is set in Solovetskiy. Free WiFi is featured throughout the property and free private parking is available on site. 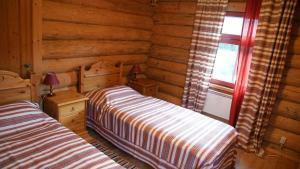 Guest House PinaGor is situated in Solovetskiy. Featuring a shared kitchen, this property also provides guests with a restaurant. 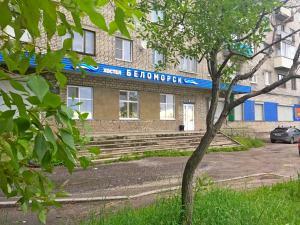 Ostrovito Morushko is offering accommodation in Solovetskiy. Boasting a concierge service, this property also provides guests with a restaurant. Apartment on Kovaleva 4 is situated in Solovetskiy and offers a garden. Guests are welcome to enjoy the free WiFi.